Mount production-related accessories for your camera, lighting, monitors, and more with this durable, square Cheese Plate from Kupo. The aluminum 12 x 12" plate features industry-standard 3/8" holes that are spaced 1" apart. 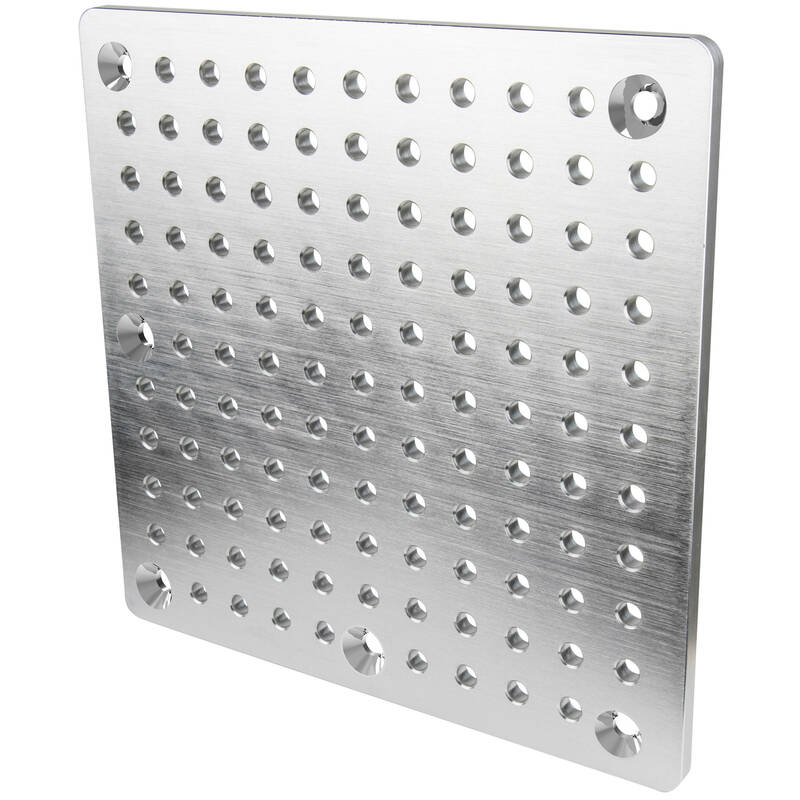 The four holes on the corners are drilled with an 82° countersink for various mounting uses.